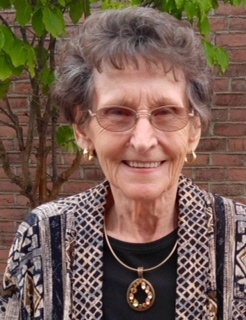 Edith Lowdenback Jackson, 85, of Wheelersburg, Ohio, formerly of South Portsmouth, died Thursday, April 26, 2018, at SOMC Hospice in Portsmouth, Ohio. She was born March 25, 1933, in Brushart, a daughter of the late Arnold Billups Sr. and Nellie Ramey Billups. She had worked at Mitchellace in Portsmouth, Ohio, and was a former state counselor for Azalea #117 Daughters of America and Noble Grand of Gem #6 Rebekah’s. Edith served on the ladies auxiliary of the Military Order of Purple Heart and was a Kentucky Colonel. She was also a founding member of Coles Boulevard Church of God. Survivors include her children, Brenda Sherrod of Frankfort, J. Anthony (Melody) Lowdenback of Easley, South Carolina, and Anita (Jack) Gilbert of Quincy; three grandchildren, J. Rodney (Kristin) Sherrod, Johnathon (Keri) Cannon, and Courtney (Nathan) Kobler; five great-granddaughters; three great-grandsons; one brother; and one sister. She was preceded in death by her first husband, James H. Lowdenback, and her second husband, Samuel A. Jackson; one son, Brian L. Lowdenback; one grandson, Eric B. Hickle; two brothers; and one sister. Services will be at 2:00 p.m. Sunday, April 29, 2018, at Morton Funeral Home in South Shore with Chad Benner officiating. Burial will be in Sunset Cemetery at Quincy. Visitation will be from 6:00 until 8:00 p.m. Saturday at the funeral home. In lieu of flowers, memorials are suggested to SOMC Hospice, 2201 25th St., Portsmouth, OH 45662. Online condolences may be expressed at mortonfh.com.